In your road, street or block of flats that there is likely to be 1 carer for every 10 people living there? One in 3 of us will be a carer at some point in our life? By volunteering with us you would really be supporting your community and making a difference to the lives of local people. There are lots of opportunities from helping out at a one-off event to developing or learning new skills by volunteering on a regular basis. We are currently recruiting for lots of exciting roles including an IT training volunteer, receptionist, admin support and community fundraisers. Click here to see the roles on offer. We welcome volunteers of all ages, whether you are a school leaver wishing to boost your CV or retired with a wealth of experience to share, there are myriad ways you can get involved. We provide training for all roles and can give references after a suitable time period. It's also a great way to make new friends and have lo ts of fun too! 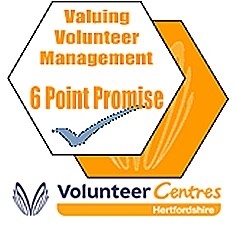 We hold the 6 Point Promise, a mark of good practice when it comes to volunteering, showing that we are committed to looking after our volunteers. Don't just take our word for it. Some of our volunteers have been sharing their experiences. Dianne has been a Volunteer Hub Leader at our Hoddesdon Carers’ Support Hub since it started in January 2016. The Hub is a group for carers that meets monthly so that they can get together to have a break from caring with other people who understand their situation as well as share advice and experiences and learn about services and support for them. Dianne cared for her late father-in-law and has cared for a relative with Dementia and also supports her parents. Here she talks about her volunteer role. "I started volunteering after recovering from cancer as I was looking for something to do to help others and use my skills. 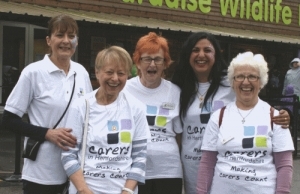 I knew about the excellent work of Carers in Hertfordshire through my previous jobs in the NHS. I had experience of caring so I felt confident about becoming a volunteer with the charity. The Hub Leader is a lovely role and I enjoy meeting and getting to know so many carers. We try to give support to each other and to the carers, who tell us they really value the monthly meeting and look forward to it. I feel pleased that a small amount of my time and effort goes a long way to helping others. As a carer too, I have found the Hub helpful in getting information to support me in my caring role, for example I have found out the latest information about benefits and also the Carer’s Assessment from guest speakers. Carers in Hertfordshire is a fantastic charity with the practical support it provides unpaid carers and the role it plays in local policy and decision-making. The charity has great energy for today and not just the future. Everyone is so friendly and I feel valued and supported as a volunteer. 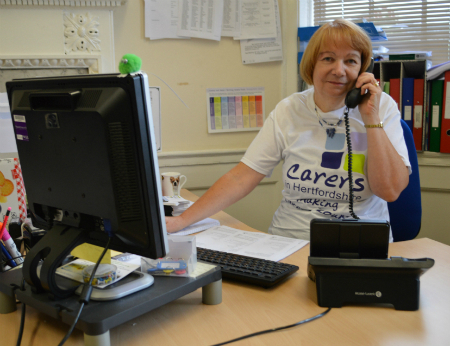 Volunteer receptonist Sarah, a retired French teacher, joined us as a volunteer in 2014 and is still a valued member of the office team. 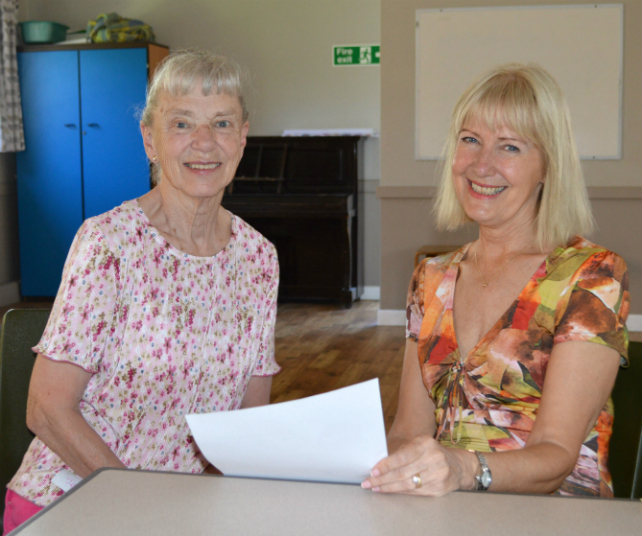 She said: "I came into contact with Carers in Hertfordshire when I was looking for a Charity of the Year for the local Soroptimist International branch I belong to. Everyone was so friendly and I was impressed with what I learnt about the charity so I chose to support it and also decided to volunteer. Earlier this year (2017) we carried out a Volunteer Impact Survey to learn more about our volunteers’ experiences of working with us. Almost two-thirds felt their self-esteem and confidence had improved as a result of volunteering. You can read about all the findings in the Volunteer Impact Survey 2017 Report that can be downloaded here - pdf Volunteer Impact Survey 2017 Report (325 KB) . Whatever your skills or experience we would love to hear from you! Just get in touch via email or call 01992 58 69 69.